BERLIN (AP).- A famous 3,300-year-old bust of the Egyptian queen Nefertiti has been moved to its new permanent home at Berlin's restored Neues Museum. The city's museum authority says in a statement that officials moved Nefertiti "with the greatest care" on Sunday from the adjacent Altes Museum, her temporary home in recent years. The plaster-and-limestone bust will go on view to the public October 17 when the Neues Museum reopens. The building has been restored painstakingly after lying unused since World War II, when bomb damage ruined much of it. Nefertiti first went on show at the Neues Museum — one of five buildings that makes up Berlin's neoclassical Museum Island complex — before the war. Nefertiti was the Great Royal Wife (chief consort) of the Egyptian Pharaoh Akhenaten. Nefertiti and her husband were known for changing Egypt's religion from a polytheistic religion to a henotheistic religion. They revered only one god, Aten, the sun disc. This was not strictly monotheism, as they did not deny the existence of other gods. She had many titles; for example, at Karnak there are inscriptions that read Heiress, Great of Favors, Possessed of Charm, Exuding Happiness, Mistress of Sweetness, beloved one, soothing the king's heart in his house, soft-spoken in all, Mistress of Upper and Lower Egypt, Great King's Wife, whom he loves, Lady of the Two Lands, Nefertiti'. She was made famous by her bust, now in Berlin's Altes Museum, shown to the right. The bust is one of the most copied works of ancient Egypt. It was attributed to the sculptor Thutmose, and it was found in his workshop. The bust itself is notable for exemplifying the understanding Ancient Egyptians had regarding realistic facial proportions. 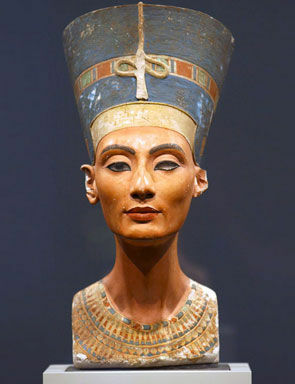 Some scholars believe that Nefertiti ruled briefly after her husband's death and before the accession of Tutankhamun as Smenkhkare, although this identification is a matter of ongoing debate. 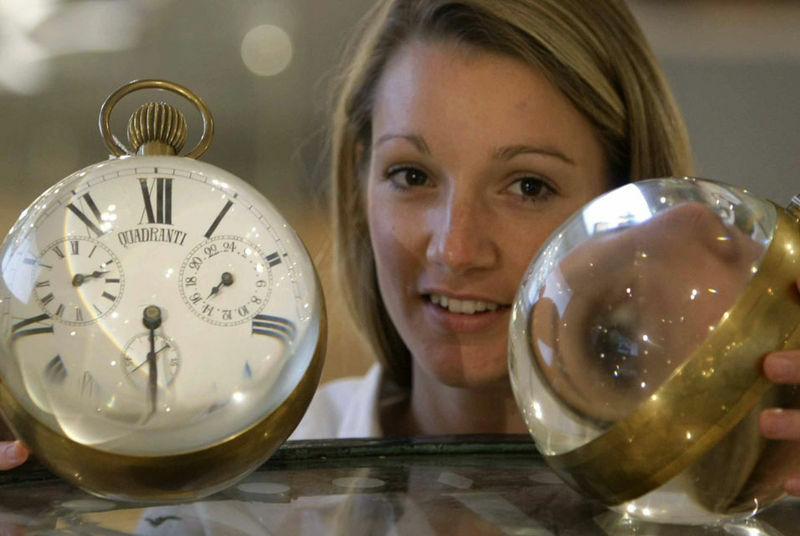 Copyright 2009 The Associated Press.